Individuals who do not qualify for Chapter 7 bankruptcy protection due to their income may be able to achieve debt relief through Chapter 13 bankruptcy. Chapter 13 is a debt reorganization that enables you to repay and discharge most unsecured debts within three to five years. It doesn’t mean all of your creditors will be paid in full — some unsecured creditors may receive nothing from the plan, but the debt can still be discharged at end of plan. It provides many options for those facing overwhelming financial obligations. Chapter 13, therefore, may be the best solution to help you stop a foreclosure. If you have enough disposable income to cover your current mortgage payments and your Chapter 13 payment, bankruptcy protection would provide you with three to five years to catch up on your arrears and save your home. At the law office of James D. Jackman, P.A., we have sophisticated experience with bankruptcy petitions. We have focused our practice on Chapter 7 and Chapter 13 for since 1986. We are committed to helping you get through the bankruptcy process effectively so you can achieve your goals. Our law office has helped many small-business owners determine the best course of action based on several factors. 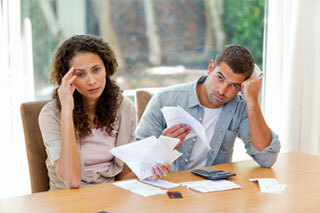 We will discuss your goals and how your formation can affect bankruptcy protection. A few factors to review include the size of the business, debt limitations and whether you have any assets. Depending on your situation, you may be able to file Chapter 13 and stay in business.